Bugger, what paddle was I supposed to be using here? Damn evangelism! 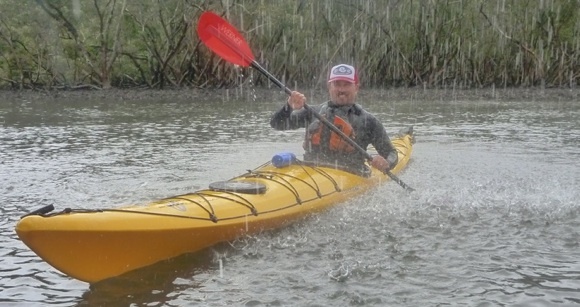 I picked up the title of today’s post from the commercial blog of a local kayak retailer who was referencing “some people out there in (the) blog world”. I couldn’t let such a brilliant piece of descriptive prose go without comment, so I thought I’d dissect it into its pieces using the most relevant definitions from various dictionaries at my disposal. So in essence this retailer is describing certain paddling writers as foolish eccentric zealots who strictly adhere to the basic idea of… their paddle preference. It’s an interesting way to describe what other retailers might refer to as “loyal brand or product advocates”, a highly sought after group which brands usually nurture and support. But this is a blog about paddling, not marketing, so I’ll get back on topic! I thought about the various paddling blogs I read, and then of those which involved Greenland paddle users. Here’s a few examples, all of which are by the above definition varying degrees of foolish, eccentric and zealous! Gnarly Dog – does the seemingly impossible by surfing with a stick! 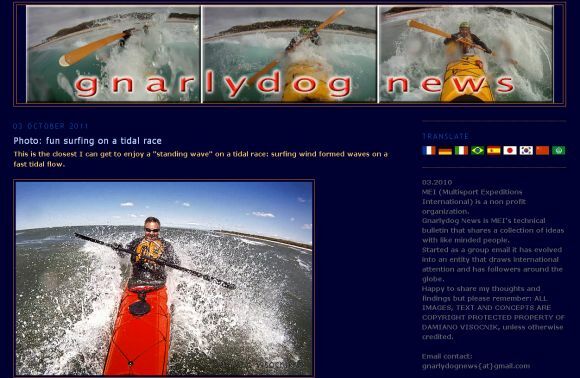 Up north we have Gnarlydognews which details the exploits of GnarlyDog, Tess, Vanilla, Greg and friends, all fans of Greenland and Aleut paddles, all great rollers (as to be expected), and apparently, pretty good surfers too. They are clearly and unashamedly fans of traditional paddles, Greenland rolling styles and generally having fun. I’m not sure I’d call them foolish though, they seem to be doing ok with their choice of paddles in a range of conditions. Helen Wilson, widely known for her rolling DVD and classes, is pretty much a stick-only kinda gal. She’ll happily take any of her boats out to the incredible rocky coastline of north California, regardless of conditions, and have fun surfing and rock gardening. She’s so comfortable in the soup using a stick that she was recently invited to a Tsunami Ranger retreat where rumour has it she convinced some of their own members on how handy a Greenland paddle can be in rough conditions. Surfing some storm swell with a stick. Clearly a zealot. I had to include myself here. I love my Greenland paddles, I love the feel of the timber in my hand, or the slide of the stick as I adjust the position of it when bracing, or the incredible buoyancy when moving around in rough stuff. I love surfing with one, rock gardening with one, and cruising distances with one. I’ve even paddled ocean skis with a stick! Are we really foolish fundamentalists, stuck in a by-gone era? Despite the taunts of some in the paddling world, many other water-loving men and women choose to use a traditional paddle. Or a Euro. Or a wing. Or even a single-blade paddle. Just like different people like different boats, or different cars, or houses, or choice of retailer (haha!). Preference isn’t always about “best”, but rather about “best for me”. And those people may truly love using their own equipment, and write about it, express enthusiasm about it, or even try to share their passions with others. This doesn’t make them foolish or eccentric, it’s just a reflection of the diversity of humanity in general. Does foolishness blind the evangelists to alternatives? I love my sticks, but I don’t religiously use them as the title may suggest. I love playing amongst the rocks along the coast and increasingly on rivers as well, where depth of water underneath (or the lack of it) is proving to be a bigger issue for my traditional paddles. What the?! Is that an eccentric stick fundamentalist using a *gasp* Euro paddle?? In fact, for coastal rock gardens I’m probably going to retire my Greenland sticks and my touring Euros in favour of a short, robust white water paddle instead, where lack of water depth and amount of bite in aerated water are addressed with its design. That’s right folks, you heard it here first – I will actually be using a non-GP from time to time! P.s. If anyone wants to get me a tshirt made with “Evangelical Fundamentalist Paddler” on it, I’d like it it XXXL – ha! Wow, consider yourself officially wound up. Man, you take this stuff very seriously when the surface is scratched. Mark, the local commercial kayak blogger. And…. While I’m on a roll, those who know me, as opposed to those who read what I write and every now and then make up defamatory lies about me on their blogs, linkedins, facebooks and twitters (and yes I have all of the screen dumps, recorded faithfully on my hard drive), know that I love a wind up. I like it even better when a decent tongue in cheek wind up gets this sort of bite, so thanks for that FP. Now, maybe my next blog post might be a bit more juicy, and might be an atack as bitter and twisted as this little. All paddles are good, that was the point of Robs awesome post, I was just creating some mischief, as I do. Give me a call if you want to discuss this, the online warrior stuff is getting a bit boring. And just to top it all off, I reckon the story of why my now 7 year old daughter still occcassionally gets jittery when the phone rings, due to the online behind the scenes campaign an internet warrior launched against ov yet another wind-up would make great reading. And to think it was all because I called him Paris Hilton one day, and upset his feelings. Another wind up being completely misread. Helluva story, huge readership all over the place, evidence galore, helluva story. I’m interested to see that once again I’ve graced these pages, one day I might be a famous paddling identity too. Please direct all correspondence to [email removed], or give me a call, over and out. Hi Mark, nice to hear from you. Yes, I still read your blog from time to time, because I actually really enjoy your wind-ups. I thought you’d actually like this post, which references your very own tongue-in-cheek words! Still, I refute that it is bitter and twisted, it’s actually a very positive piece about diversity, choice and paddling good times. Sorry you didn’t see the wind-up as funny, although your threatening response to such mild criticism did seem over the top. 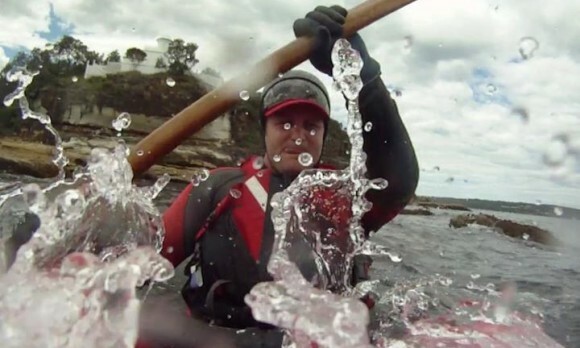 Maybe I’ll call you the Kyle Sandilands of Sea Kayaking – haha! Just kidding mate, you know I love you. I loved your article Sean. I felt it was on point and lighthearted. One comment from Mark would have been good and healthy. 4 posts(in a row)makes him seem defensive. All well and good but when Sean goes to Penrith WW as he most surely must then the wise thing to do will be to get Ben at Horizonline to hook him up with a Galasport under 200cm long eg. 197cm max and 45 degree (or less) feather. Alternatively and if money is no object get a Werner Shogun or Double-Diamond. Or an AT. The reaction you got from Mark is rather interesting and as Cliff puts it, defensive? Seriously, the Greenland paddle (and kayaks) debate is in my opinion a clear evidence of challenge to the old guard. Nobody seems to be more upset/threatened by this “trend” than the people that have vested interest in the status quo. You point out that your blog is non commercial and are free to express your views and opinions without having to defend a particular brand, manufacturer, style or belief. I have noticed however that several people, commercially involved with sea kayaking, especially the ones that are supposed to teach others, have a much more dogmatic approach to style and rules. Some instructors feel threatened by the new “trend” and since they have limited or poor skills in teaching the Greenland style they will try to ridicule people like you that evidently are going against the “flow”. Some consider the GP a joke, some a fad but only the ones that are proficient with the traditional paddles know that the paddle has merit. While far from being the perfect tool for all conditions, (and just like kayaks, there is no single tool that excels in all situations) the GP requires thinking outside the box. The old established sacrosanct values of high angle and perfect body rotation that are so efficient for racing suddenly are not all that strictly enforced by the new style (actually very old style). 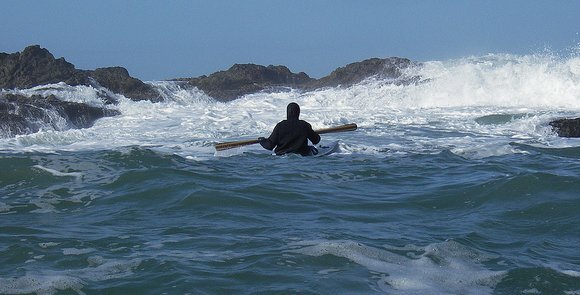 Not everybody wants and should be racing; trying to shove down their throat the strict rules of “proper” sea kayaking can be viewed as narrow minded. Old dogs have always trouble learning new skills and only the open minded ones will embrace the possibility of a different style, would that be kayak or paddle. From Tsunami Rangers blog, Kenny Howell said: We are all tribal by nature, and so it’s inevitable that you will fall into a clique of like-minded arrogant elitists. We should all strive to be paddlers, not elitists. 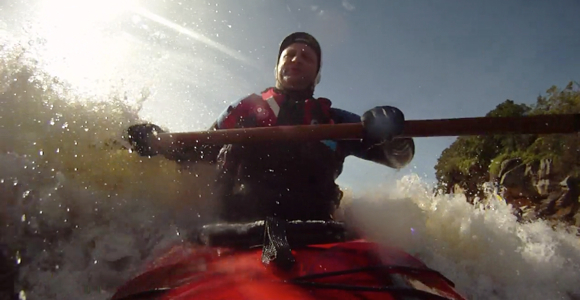 I’ve been watching videos from the River Canoe Club over the past month actually, looks like a very cool group! I might just contact them. As for the shorter boat, well there aren’t many that will hold my weight, hence the Remix. So she’s going to have to do! @Gnarlydog thanks for the support. A bit of a correction – FatPaddler.com is a commercial entity, in the form of written media. It is a Registered trademark and the product I sell is my book. I don’t have any other commercial relationships with paddling retailers although I do have friends who work in the paddle industry who I support in various ways (advertising, written posts etc). Any reviews I write on products sent to me are genuine, but I only write positive reviews. If I don’t like a product, I return it with a full explanation of why I didn’t like it. I was also recently sponsored by Paddle & Portage Canoes who supplied me with a boat for the Hawkesbury Canoe Classic. No entity has ever actually paid me (other than my publisher of course).